What qualifies as photographic ID? What is a locum smart card? What is right to work documentation? What qualifies as a right to work document and if I am from the UK what do I need to show? What other documents can I upload? Other documents and accreditations to upload. What is dementia friends training? Accreditations. CPD. Dementia Friends. Documentation. What is level 2 safeguarding? 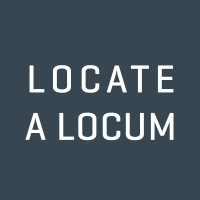 What Is Locate A Locum? Do I have to pay to use Locate a Locum? Are there any membership costs or fees to use Locate a Locum as a locum? What accreditations do I need to work as a locum? What accreditations you can upload on our system and how it will help you win more shifts. How Many Shifts Can I Apply For? Is it possible to apply for more than one shift on the same day and how do I increase my chances of being booked? Payment Queries. Pharmacy Payments. Who Pays Me? Can I negotiate rates on a shift? Will pharmacies pay for my food and beverages during a block booking? Do pharmacies pay for my food and drink? How much do they contribute when I am on a block booking? Will pharmacies pay for my block booking accomodation? Will pharmacies pay for my hotel or B&B during my block booking? Do I Know If I've Been Unsuccessful? Will pharmacies pay for my travel costs? I need to travel to my shift, will the pharmacy pay for my mileage or travel costs and how much is covered? What to do if a pharmacy tries to book me directly? What happens when a pharmacy books me and how can I get the shifts attributed to my profile? Why Have I Not Been Successful With My Application? What happens when I upload my documents and accreditations? Who gets access to my documents and accreditations? And are they stored securely? Can I Be Double Booked? Where Are The Best Hourly Rates? Can I register if I'm a pre-reg pharmacist? What are the essential documents? How do I upload my documents/accreditations?